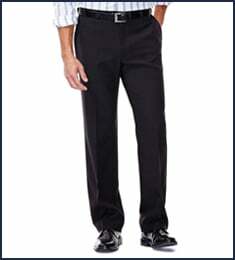 A great fit and various color choices make these striking dress pants a great addition to any wardrobe. Subtle striations in the Repreve® recycled fabric made from water bottles give these dress pants a distinctive refined look. 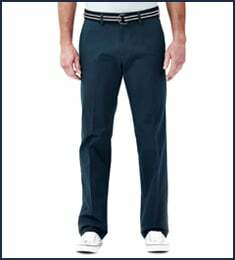 You&apos;d never guess they are machine washable, no-iron and extremely comfortable with a hidden expandable waistband. E-CLO™ Stria Dress Pant is rated 4.3 out of 5 by 7. 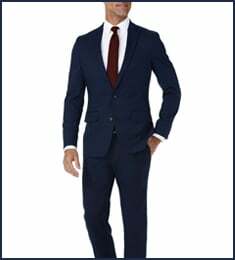 Rated 4 out of 5 by Silver Fox from Stria Dress Pant Very light weight with a little herringbone look and seems to be able to not show much wrinkles after wearing. Rated 4 out of 5 by Enzo16 from Excellent for all day wear. No binding, very comfortable. I really like this particular eClo Stria dress pant. The fit is excellent. The straight fit, due to the size is also very good. I could use this particular pant in a 35 inch waist, but it is not offered. So, I purchase the 36 in waist knowing they are a little big in the waist. Because they are a straight fit, they are not as big as a normal 36 in waist would be. I also like the straight leg, non cuffed. While I have and wear many cuffed pants, I do like the non cuff on this particular article of clothing. I only wish these were available in more colors. Black is not available at all, it would be great for them to come in black, sage green, and a nice shade of brown. If they were, I would definitely be buying multiple pair for general wearing. 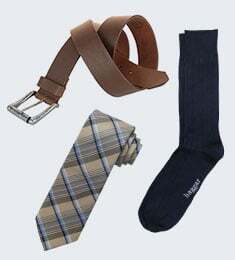 The only place I have been able to find these are on the Haggar website. Not in stores that I shop in. It's a great pair of pants. Rated 5 out of 5 by Saif from Superb product I have been using Haggar pants for last ~10 years. Very good cut and fits perfectly. However, the product line relating to pleated and straight fit pants is very limited in choice. Please expand. Rated 5 out of 5 by WddB from Excellent craftsmanship Prompt shipping, great fit, quality tailoring and I love the material. The trousers fit right and hang properly. One of the few places to get 31 inch inseam. Rated 4 out of 5 by ibbaconbits from Fits ! I am fortunate that I found many years ago (I am now 77) that Haggar pants fit me off the rack, and how easy is it to pull out my laptop and order my new pants and have them delivered to my home. Good quality at a good price with NO hassle.